It’s August, and the British summertime is on its head again. The roads are flooded, beaches closed, and the blue sky has gone back to the Med. So where does that leave us? One option that Slotsquad is investigating is the £5K prize draw over at Pocketfruity.com. Running throughout August and including four of the juicy UK casinos most popular online slots, the £5000 giveaway will include a top prize Red Letter Day Voucher worth £500. Hopefully to use when the sun is shining! The £5K August prize draw at Pocket Fruity will award all real money slots players one free entry into the event for every £10 they wager on the games listed. 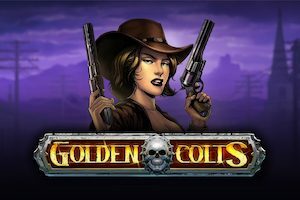 Looking at the details, it seems Cleopatra, Slingo Riches, Twin Spin and Candy Cash will get the spotlight treatment this time around as the nominated online slots for this promotion. So make the most of the time between now and 23.59 on August 31st, because these four games are the reels worth spinning. Play at Pocket Fruity Casino this August and you could win a £500 Red Letter Day Voucher to do things like Formula Renault Driving, eating posh food at the Shard or cleaning filthy animals as a Zoo Keeper. Other prizes include 5 x £200 cash bundles up for grabs and 10 x £100 in bonus amounts. Just simply wager £10 on one of the four slots above and your in with a chance of winning. If you’re new to Pocket Fruity and don’t know much about the brand, it’s currently one of the top listed UK mobile casinos for real money players. Not only do they carry a 94% Slotsquad review rating, but they offer 50 free spins with no deposit needed and up to £100 as a welcome bonus. The www.pocketfruity.com platform recently upgraded its software to incorporate some of the best new slots from Microgaming and NetEnt such as Bridesmaids, Hot as Hades and Sparks.